University of Nevada Las Vegas, William S. Boyd School of Law, J.D. 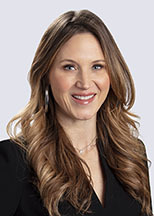 Kelley is an intellectual property and entertainment attorney, and former corporate counsel for a Fortune 100 Silicon Valley technology company, with experience managing worldwide intellectual property portfolios and major commercial transactions for some of the world’s largest companies. Her practice touches all areas of trademark, copyright, technology, art, sports and entertainment law, with a special focus on international brand-management for famous and well-known marks. IP Clearance and Prosecution: Conducting clearance investigations and preparing opinions regarding the infringement risk of trademarks, copyrights, and rights of publicity; filing, prosecuting, and maintaining trademark and copyright applications to registration; coordinating foreign counsel prosecution efforts worldwide. IP Enforcement: Implementing worldwide enforcement programs to police trademark, trade dress, copyright, and rights of publicity infringement, trademark dilution, cybersquatting, counterfeiting, unfair competition, and false advertising, including through watch services, investigations, demand letters and litigation for in federal, state and TTAB litigation; arbitrating domain name disputes before the National Arbitration Forum. IP Licensing/Commercial Transactions: Drafting and negotiating intellectual property license agreements; conducting due diligence on behalf of IP purchasers and sellers; negotiating and drafting IP asset purchase agreements; recording security interests and assignments. IP Strategic Counseling. Advising on worldwide trademark, copyright, and domain name portfolio management strategies; implementing licensing and marketing-related regulatory compliance programs for in-house teams; auditing portfolios and analyzing budgets for IP administrators; advising in-house teams regarding proper use of third-party intellectual property assets. Technology and E-Commerce: Drafting and negotiating technology-related agreements, including SDK licenses, collaboration agreements, and SAAS agreements; challenging infringing domain names through UDRP and cybersquatting actions; advising clients regarding Internet advertising, including through social media, keyword advertising, and online influencers. Sports and Entertainment: Drafting and negotiating professional service, sponsorship, and influencer agreements; drafting and negotiating celebrity rights of publicity licenses and life rights agreements; securing music licenses, including public performance, grand rights, and sync licenses; negotiating commercial contracts with professional and amateur sports leagues, sports teams, players associations, players, and media outlets for the distribution of live performances through television and online streaming. The Arts: Advising clients regarding moral rights abroad and artists rights under the Visual Artists Rights Act; drafting and negotiating agency and consignment agreements between galleries and artists; securing copyright registrations for works of art; challenging copyright infringement through take-down notices and litigation.